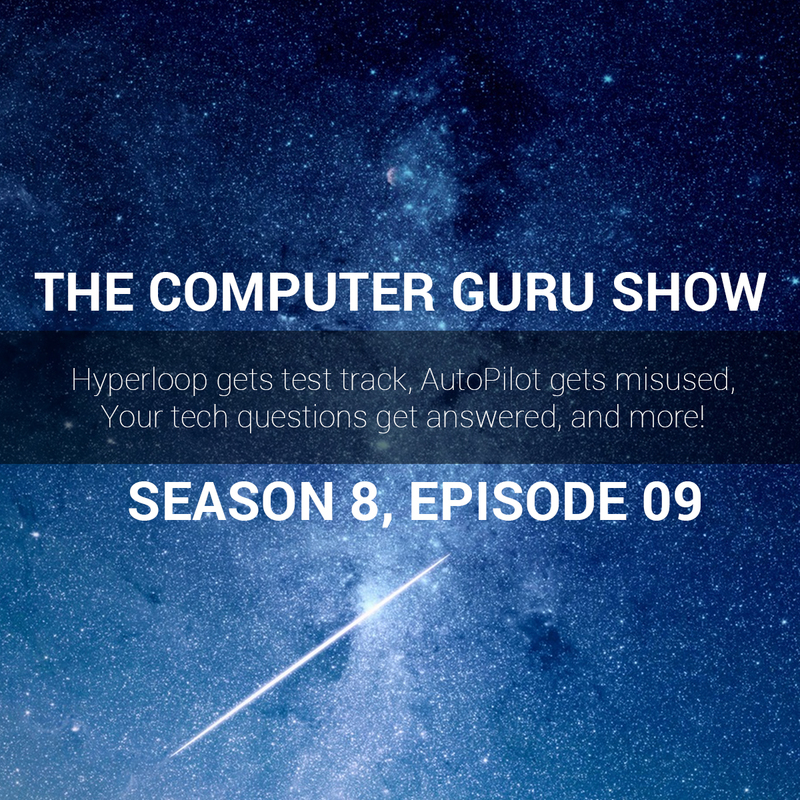 Podcast S8E09 – The HyperLoop gets a test track, people misuse AutoPilot, your tech questions get answered, and more! The HyperLoop gets a test track, people misuse AutoPilot, your tech questions get answered, and more! This week, Rob drops by the show to talk about tech news as well as to discuss why you need a new website. Mike and Tara also discuss the latest in the tech world, including the HyperLoop (which is finally getting a test track), and people misusing Tesla's AutoPilot and causing accidents.